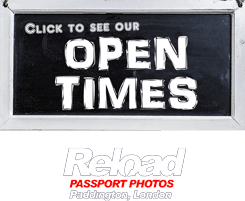 At Reload Internet in Paddington, London we can snap and print your Australian Passport photo or Vis while you wait for £9.99 for a set of 6 photos. Getting your Australian Passport Photo takes just a few minutes as Reload Internet uses the latest in Canon and Mitsubishi technology that meets all Biometric needs and more. Reload Internet uses a digital process that not only provides an image instantly, but also reduces the “red-eye” effect to ensure that the results are top quality and well suited for the Australian Passport Service (Australian Government). The Australian Government has strict standards for your Australian Passport Photo and Reload Internet ensures that they are met thanks to the document photography system we have instore. 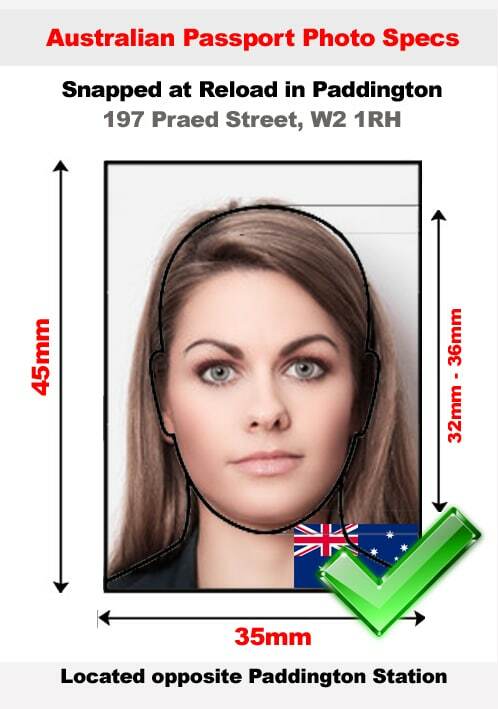 Our biometrically enabled Australian Passport Photo meets the exacting standards that includes the size of your head in the photo measuring 29mm to 34mm from head to chin. In addition to Australian Passport Photos, the services of Reload Internet are recommended by the local VFS office for their 50mm by 50mm photos required for their Passports. Be sure to drop by Reload Internet to find out more information about how you can purchase the right Australian Passport Photo and ID photos for your needs. The specifications for Australian Passport Photos are not as straightforward as you may believe and some photo kiosks will not be equipped to print the correct specifications required. However all Reload Internet Australian passport photos will comply with the following standards set out by the Australian Government.